The vacant lot next to this parcel, listed as MLS # 819729, would provide for 50 additional waterfront feet as well as a workshop and woodshed. Be sure to check out the 3D Matterport Tour under the photos tab! 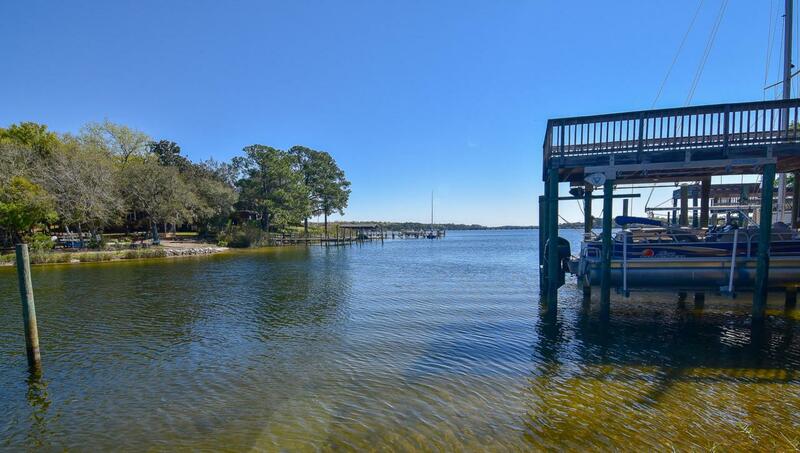 This unique home is nestled on 50 ft of waterfront in a protected cove offering great potential to be your very own oasis. 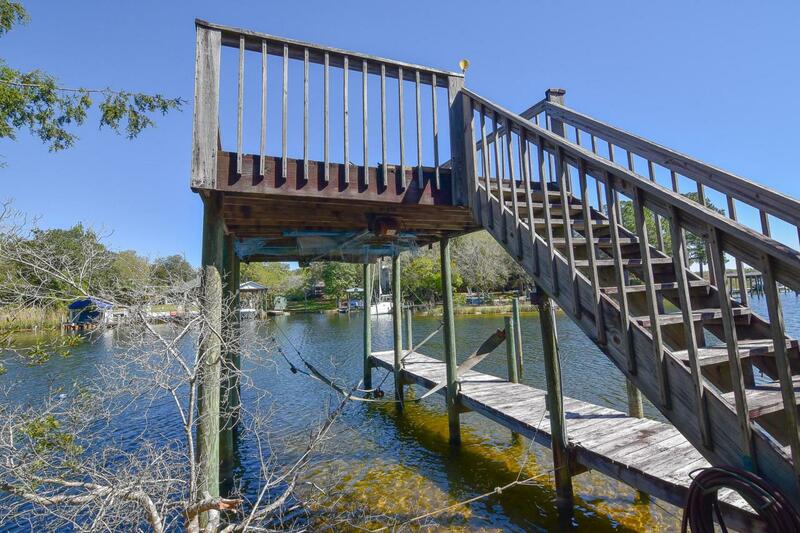 Your personal dock with a second story deck provides a great place to watch the sunsets. 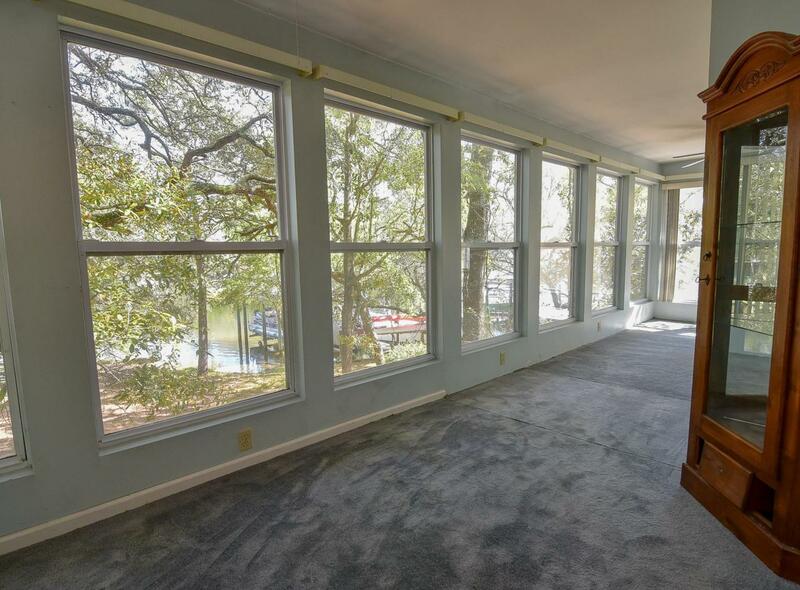 Spend your mornings outdoors on the covered patio or indoors in the sitting room looking out over the water through your floor to ceiling windows. This custom home built by the original owner features 6 bedrooms and 3 full bathrooms which provides plenty of space for a large or multi-generational family. The upstairs includes a large kitchen and family room, the sittingroom, 3 bedrooms and 2 bathrooms. The master suite has its own bathroom as well as its own laundry room. There is a separate living area downstairs with its own kitchen and living room that could serve as a mother in law suite. 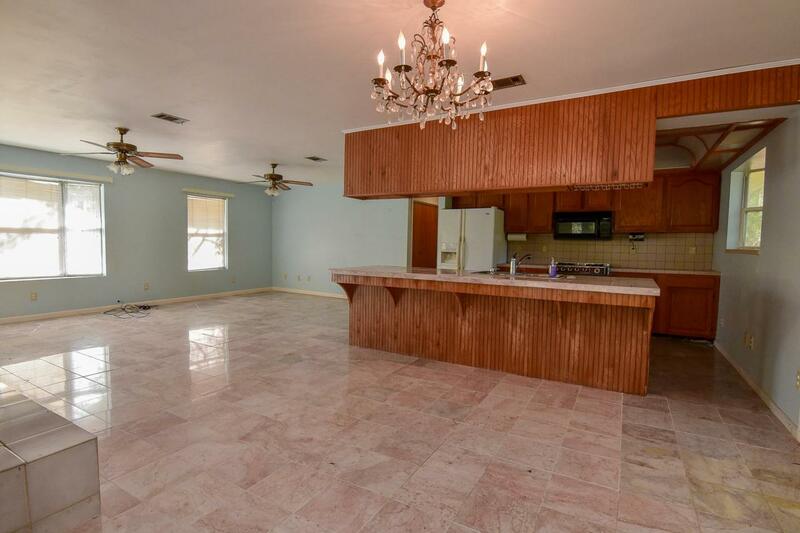 With the 3/2 up and 3/1 down, each having a full kitchen, awesome water views, separate HVAC units, separate entrances and access to the yard and water; the house offers such a great potential for rental income to offset the costs of property ownership and/or potential renovations. This home is very unique and you must see to appreciate! Schedule your showing today!